With the electronics squared away, let’s move on to the arts & crafts part of the project! First, if you haven’t already, clip off the tips of the soldered wires. Gather these up and throw them away…make sure the clipped bits don’t end up inside the goggles where they’d cause electrical shorts. 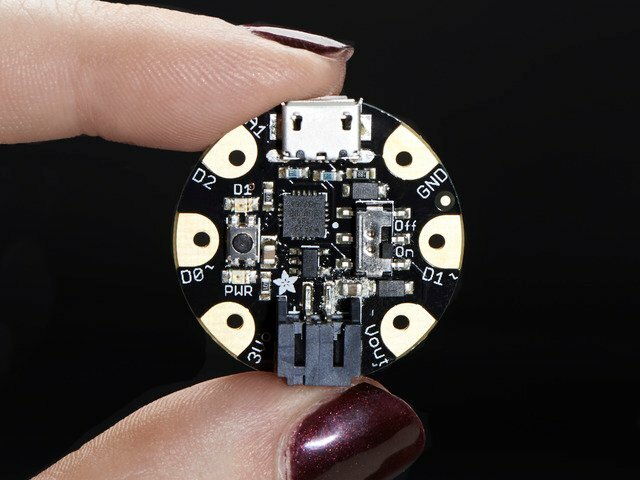 This step is optional but recommended: if you have some 5-minute epoxy or craft adhesive such as E6000, add a small bead at the base of each wire where it meets the board…and especially on the LiPoly battery and JST connector. This creates a strain relief, so wires aren’t likely to break off when flexed. 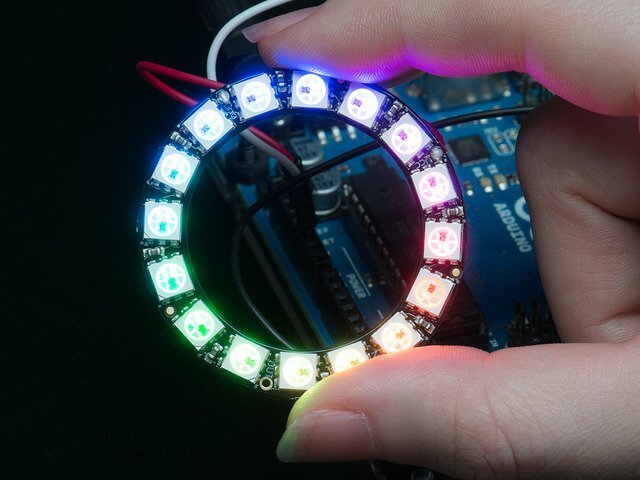 On the NeoPixel rings, it helps the wires sit flat. Wait until the glue or epoxy is fully cured before final assembly or charging the battery. Unscrew the rings holding the lenses in place. Most goggles (whether our costume variety or the bring-your-own type) will have a couple different layers inside, some clear, some darkened. Set the dark lenses aside, we’ll just be using the clear ones. The costume goggles have slots near the nose piece, bridged by a tiny bit of plastic. If these are clipped away, then all the electronics can be slid in place from the front. You might also cut the slots just a little wider so they don’t gouge the wires. 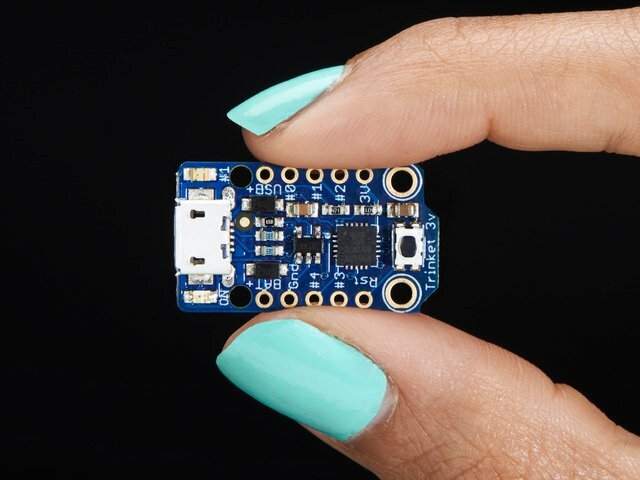 Bring-your-own goggles usually aren’t built this way, which is why assembly is more involved. 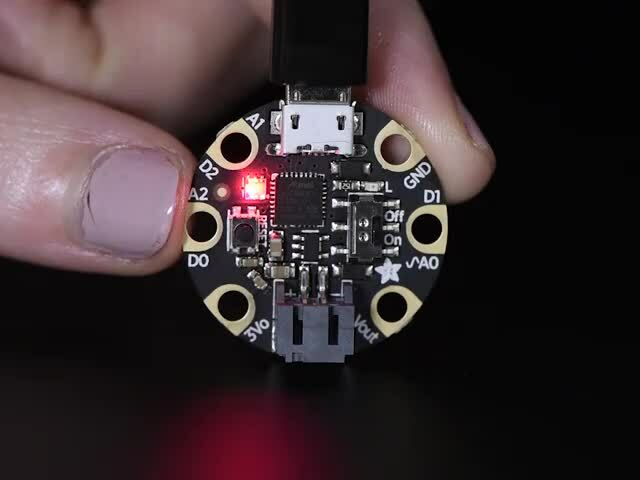 The NeoPixel LEDs are very bright and focused. Let’s make some diffusers to soften the light. Trace one of the lenses on a piece of paper, then cut it out with scissors. Ordinary printer/copier paper works just fine, or I had this fancy-pants vellum on-hand (it required two layers). If you have access to a laser cutter (through a local hackerspace, your school, whatever), measure the diameter of the lenses for cutting new ones. 1/16" white acrylic works well for this. Some of our early photos show ring-shaped diffusers, but we found the goggles were best used as a decorative hatband and not worn (more on this later). So go ahead and make solid diffusers. It’s much easier and looks cool. Insert the electronics into the goggles from the front, with the ring-to-ring ribbon cable across the bridge of the nose. Prepare the lenses — clear layer first, then the diffuser, then optionally the spacer ring from the original lenses. Screw the lenses in place, being super extra careful not to gouge the wires! 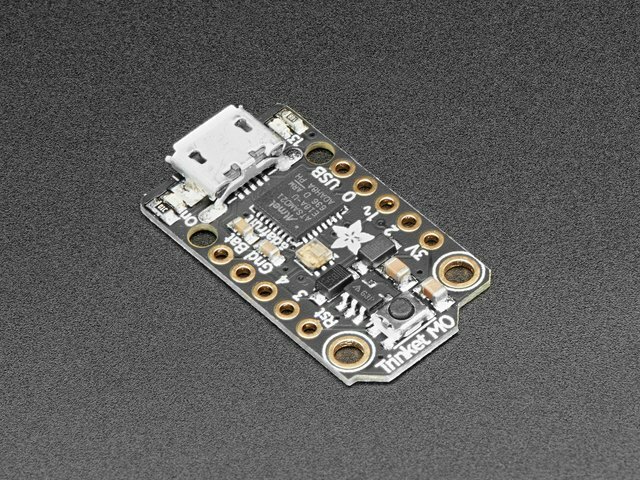 Connect the battery briefly to make sure all the electronics are happy prior to final assembly. It’s easier to troubleshoot while everything’s out in the open. If using metal goggles, make sure there’s no contact between the goggles and any exposed conductors. The rings are then secured in place with a few dabs of hot glue or fast-setting epoxy. Glue just a couple spots at a time, so you can hold the rings centered while it sets. Finally, the Trinket is then glued to the outer edge of the eye cup, with the USB port and battery connector both accessible. (If using metal goggles, use tape or something to provide an insulating layer.) The wires can be folded and held in place with additional dabs of glue. PRO TIP: if you used hot glue and need to remove the rings later, dip a Q-Tip in rubbing alcohol, touch it to the edge of each blob of glue and allow it to soak in for a few seconds. This doesn’t dissolve the glue; it seeps between the two parts and cleanly breaks the bond. The glue should peel away with little effort. Science! Power on the goggles by connecting the battery. The battery is small enough to tuck away inside the eye cup. Add a bit of masking tape to hold it in place if needed. 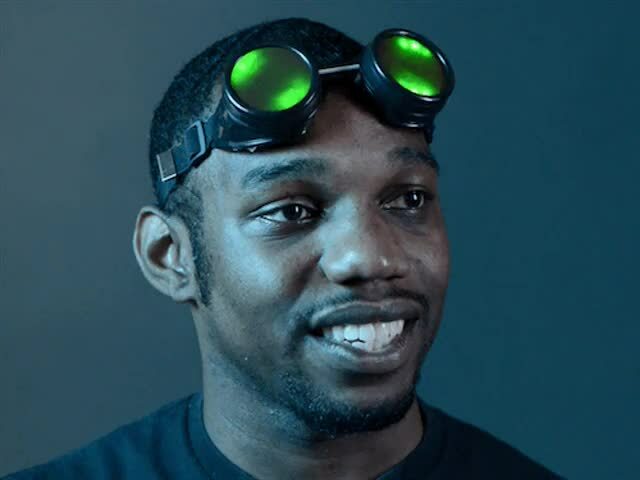 Your LED goggles are a fashion accessory — they should be worn on your forehead or on a hat, not over your eyes. Even if you block most of the light inside, even a small scattered bit is still very bright and will cause headaches, maybe even vomiting. If you leave out the diffusers and try to see through the rings, peripheral vision is severely limited. 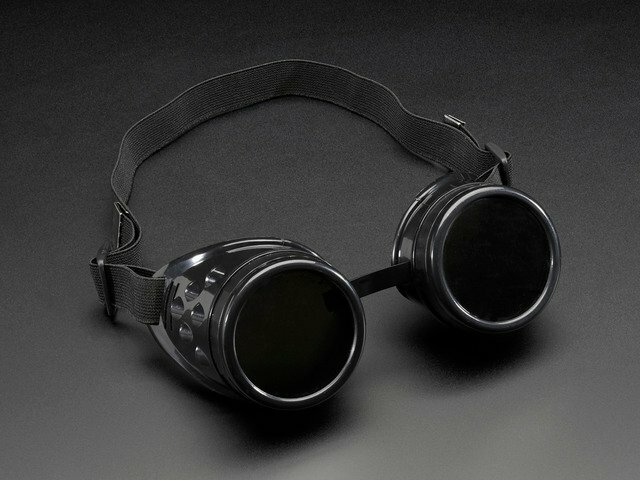 Wearing these goggles on one’s face is just not smart…stick them up above! If you’ve modified a pair of welding or safety goggles, their design is now compromised and they should no longer be used for welding or safety! For the same reasons, if attending an event like Burning Man, take one (or several) pairs of “real” sealed dust goggles in addition to your LED “fun” goggles. Don’t rely on the latter for protection. Never use the altered goggles for safety or eyewear; they’re strictly a fashion item. 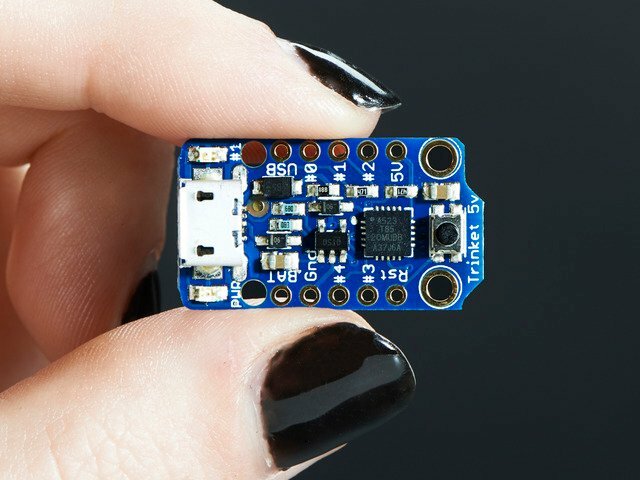 If your goggles have metal frames, make sure there's no contact with exposed conductors on the Trinket board, NeoPixel rings or wires. This guide was first published on Sep 13, 2013. It was last updated on Sep 13, 2013. This page (Final Assembly and Use) was last updated on Apr 20, 2019.